Are Winter Tire Minus Sizing Really Necessary? Just like the title says. 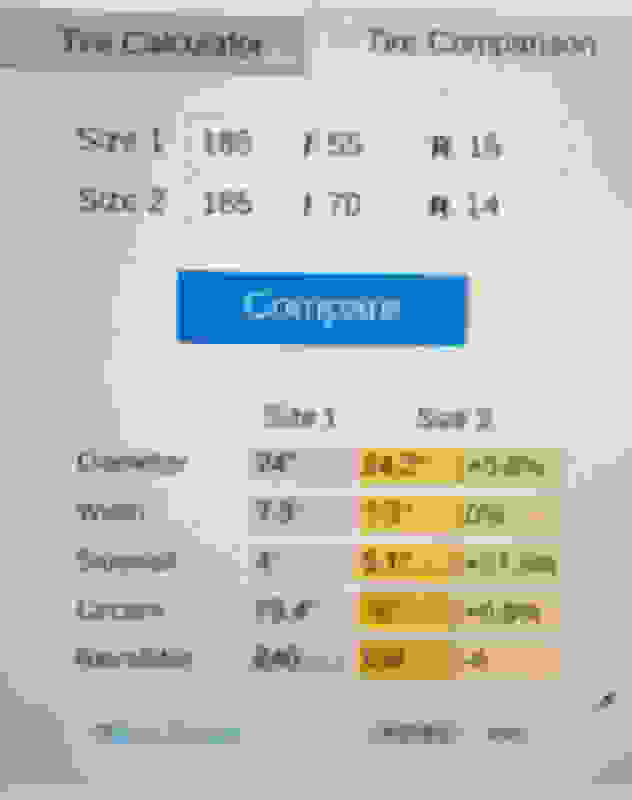 Is it necessary to drop down sizes? 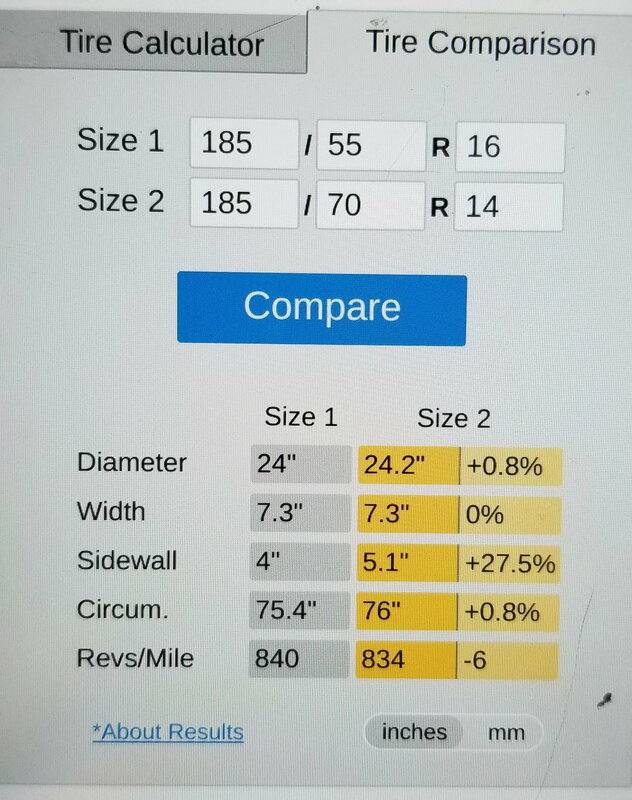 Research shows higher end cars with 19s / 18s / 17s wheels should to save money and get a comparably taller sidewall, but even the largest size wheel on the GK Sport is just 16" with 185/55 tires. Tire Racks recommended 14" size comes with 185/70R14 and comparing both stock and the recommended sizings overall diameter only has .2' difference. The width is the same so the argument of narrower tire cutting through the snow can be said for both sizes. Honestly the Sport Package makes wheels smaller than the 16s even smaller. "Is it necessary?" I don't believe it is. If so, I think the owner's manual would've mentioned it. If the width is the same but it gets a taller sidewall from the shifting wheel size, then it's possible part of the recommendation is not really to get a smaller wheel, but to get that higher sidewall. I mean, the more sidewall of the tire you have, the more likely it'll survive potholes (and generally absorb bumps). In winter, potholes tend to get enlarged by both the weather and snow plows. Also, they tend to be less visible due to the snow on the ground. I know theres a thousand posts on why downsizing is good, but the main points they make are plowing ability with the narrower tire and cost savings. The majority of them apply for cars that came with 17s, 18s, 19s and up. The Fits wheel range is already in the small side and downsizing that just seems extreme. I had a 1995 Toyota Tercel with the factory 13s on snow tires and it struggled in the winter. The last time I checked 13s were defacto sizes for trailer wheels. I went with a 175/65/15 (same die just to gain the sidewall and then use steel wheels. The sidewall on a 185/55 is not generous and the alloy is definitely susceptible to damage. I have done it. Perhaps the narrower 175mm tires will ever so slightly provide better grip (on ice or compacted snow but not anywhere else) but I am sure you would need some pretty precise measurement equipment. Last edited by stephenmarklay; 11-14-2018 at 10:20 PM. Is the ultra-cheap carpetting really so necessary? Quick Reply: Are Winter Tire Minus Sizing Really Necessary?